Welcome to JUMP! Swim Schools: About JUMP! Hello! We’re JUMP! Swim Schools and we are delighted to have you visit our website. Thanks to our 16,000+ little swimmers and their Mums and Dads who all love our swimming lessons, you may have heard of us already. If you haven’t — we’d love to share our story with you. JUMP! Swim Schools was founded with a simple goal: to create the perfect environment for children to learn to swim. This is the way learn to swim should be — small, intimate and private so that every child feels safe and at home as we join them on their swimming journey. We are actively building a culture of fun and excitement about learning to swim, to show that teaching your children to swim is not only a safety measure but a lifestyle choice. Your lifestyle is better with children who swim and have fun with you in the pool and beach. In becoming a national franchise group we aim to increase participation levels and skill levels across the country by improving the learning ability of our children and improving their confidence. After such a long time teaching children in bigger facilities with many distractions, it is exciting to see what our children are now capable of! But enough about us — we’d like to get to know you! Please feel free to contact us via phone or email to discuss your needs or to arrange a free introductory lesson. Hope to see you soon! Our mission is to give children a lifelong love for water that will help bring them happiness and health for life. And that’s why JUMP! 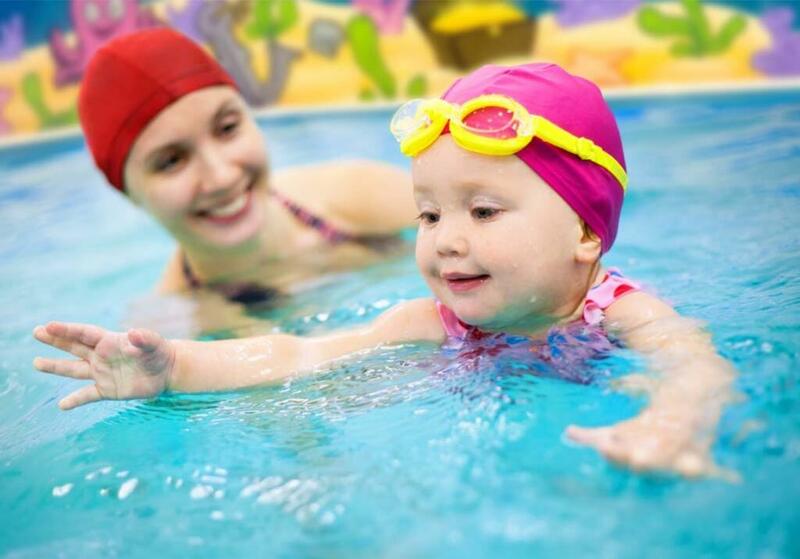 Swim Schools has created the perfect environment for babies and young children to learn to swim. Our Prepare, Instruct, Praise philosophy is the backbone of JUMP’s program and is the difference between children developing skills in the water and resisting. It’s woven into every class we teach. At JUMP! we are obsessed with creating the perfect learning environment for your children. They deserve it. We will always: teach your child with love and care as if they were our own; keep our swim schools clean, tidy and hygienic; and only teach a maximum of 2 lessons at a time. As a father of three young boys, JUMP! founder and CEO Ian Campbell was very aware of the need for learn to swim to be a personal and private experience to ensure the best possible progression and make his children feel safe and secure. I couldn’t be happier with the entire team at Jump! We came to this centre ‘skeptical’ after many terribly unsuccessful lessons with a previous swim school. Here I was thinking my baby hated swimming, when really all she needed were bright welcoming faces, singing & lots of fun! Jump has the perfect balance between being educational & keeping it exciting & fun. She has been going here for almost 4 months now since she was 6 months old & she absolutely LOVES it! She is learning so quickly. A very positive and encouraging learning environment filled with so much fun. My very shy little one, Sofia, has blossomed from tadpole with Sophie to a vibrant newly-promoted swimmer to frog. I am so pleased with Sofia’s progress. Thank you Steve, Sophie, Caroline and Lauren — thank you Jump Swim! Truly a swimming school of excellence, the instructors keep the kids interested and it shows! Both of my children have improved out of sight since training here. Maddie has come such a long way in such a short amount of time. It was only a couple of months ago when she first started and was scared to even have water poured over her face. Now she can jump off the wall, head in water, kicking, reach and pulling all at once. The teachers have been amazingly patient! Happy parents. Thank you!